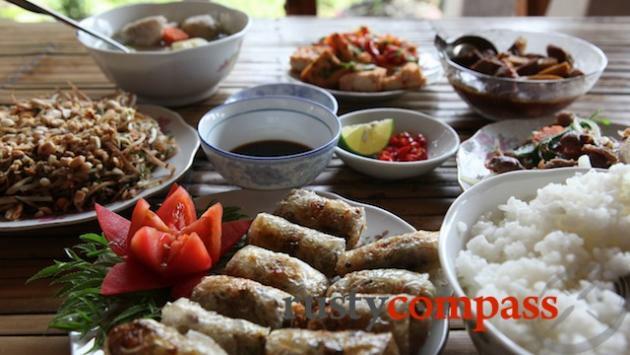 An independent selection of the best eateries from fine dining to street food in Mai Chau, from Rusty Compass. No paid endorsements. The country cooking is superb! Stilt houses include meals in their pricing and the food's great. There's no menu. Classic country cuisine is served up from a fixed menu for lunch and dinner. It's simple and nutritious and great fuel for exploration. Vegetarians should alert the kitchen on arrival.